In cooking, math is used to add ingredients to recipes in the correct proportions and ratios. Recipes are designed to serve a certain number of people, so math is also used to figure out how much of an ingredient is needed to increase or decrease the amount of food a recipe yields. Math is also used for conversions dealing with quantities and ingredient measurements. Proportions are used to find the relationship between the quantities of ingredients needed in a recipe. The relationship between any two ingredients in a recipe is also known as the ratio. Using math to figure out proportions and ratios is important in cooking because using too much or too little of any ingredient in a recipe creates unfavorable results. For example, using too much flour when baking cookies makes them extremely hard, while using too much or too little water when boiling rice ruins the texture. Increasing or decreasing the number of people a recipe feeds requires math to convert the necessary quantities of ingredients. The procedure used to adjust the quantity of ingredients in a recipe is called scaling a recipe. 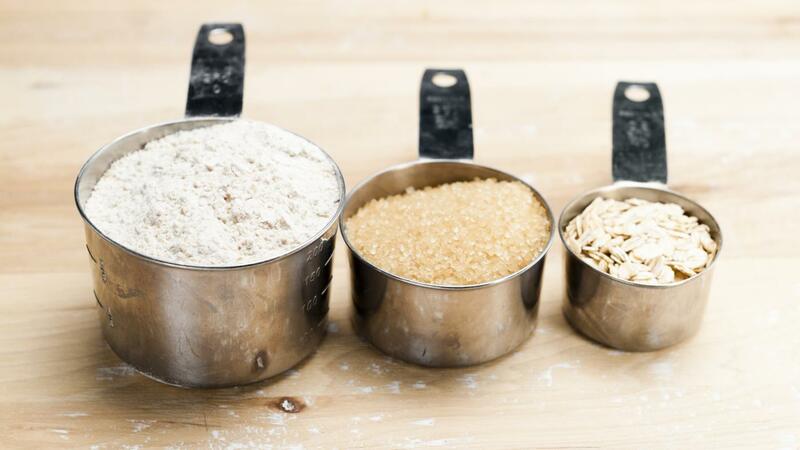 When scaling a recipe, a conversion factor is determined by dividing the amount of servings needed by the original number of servings the recipe yields. Conversion is also used when determining units of culinary measurements. For instance, 1 tablespoon is equal to 3 teaspoons, and 1 gallon is equal to 4 quarts. How Do You Make a Ham Sauce With Mustard and Vinegar? How Do You Find Recipes From "The View"? What Spices Are Used in Most Italian Recipes? What Are Some Chicken Recipes That Can Be Cooked Using a Crock-Pot? What Are Easy Mexican Salsa Recipes? What Are Creative Recipes for Pasta? What Are Some Hellmann's Recipes for Chicken?